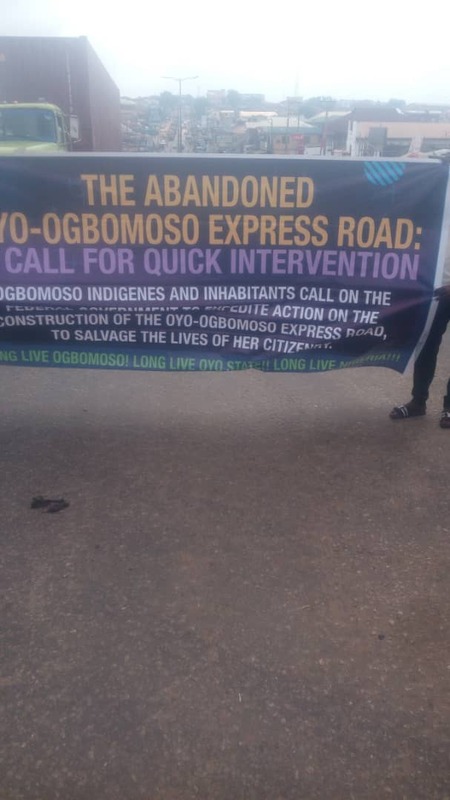 The situation of Ogbomoso – Oyo road has become the shabby of it pride and embarrassment to the Nation. Setting the record straight, the road that ought to be an altruistic route has turned to a deathtrap where many lives are loss on daily basis. Without been extravagant with words hardly will a day pass without recording one accident or the other. 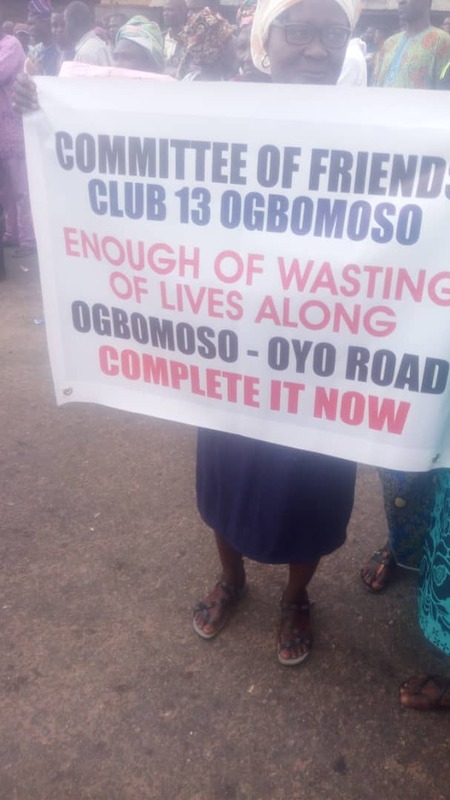 The protesters have therefore given Oyo state Governments and Federal Governments an ultimatum of 2019 to fix the road or incur the wrath of residents. Over the years, the road had deteriorated to a level where maintenance was no longer feasible, having outlived its design life and the road becoming very dangerous to motorists and pedestrians as well as to harness the waste of man-hours on the old road due to traffic bottle necks, particularly as a result of incessant accidents. The protesters displayed placards, which read: ‘F.G.N stop accident, Repair our Road,’ and ‘Enough of wasting of Lives,’ among others. On the last note the Council Secretary urge the Federal Government to hear the plea and out cry of the inhabitants of the valiant city and act on time to avoid unnecessary revolt. 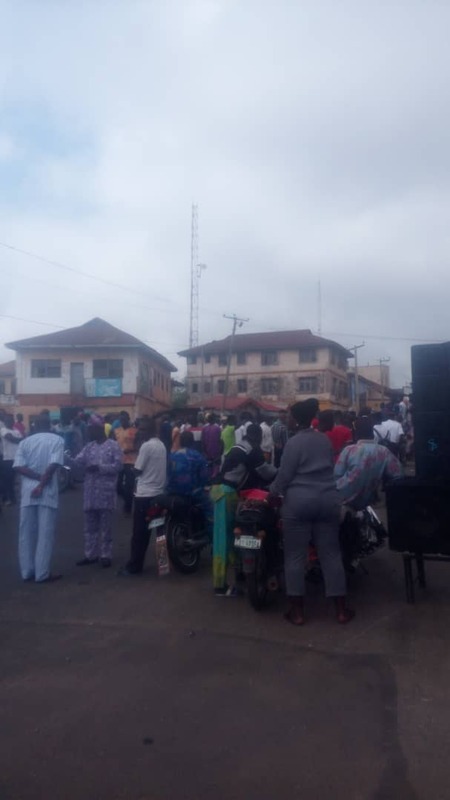 0 Response to "Residents Protest Oyo/Ogbomosho Bad Road (Photos, Video)"